Studies show lighter colors are often more inviting and give off the perception of a larger space. It’s also important to make sure the ceiling color is lighter than that of the walls; this “tricks” the brain into thinking the ceilings are higher. Consider painting all your rooms the same color. Different hues in different rooms create the illusion of division, making spaces seem smaller and more segmented. One neutral color will create an open and flowing environment. Keep things uniform. Update countertops, backsplash, and cabinet handles but make sure everything matches and stays in a light, neutral zone. Remember, you’re not making these changes to satisfy your own style or taste. You want buyers to be able to imagine themselves in this space, not feel like they’re invading your space. Take everything down! This seems drastic, but if you’re going to paint, it needs to happen anyway. A couple of neutral and tasteful art pieces is okay, but the more you have on your walls, the smaller a room will appear. 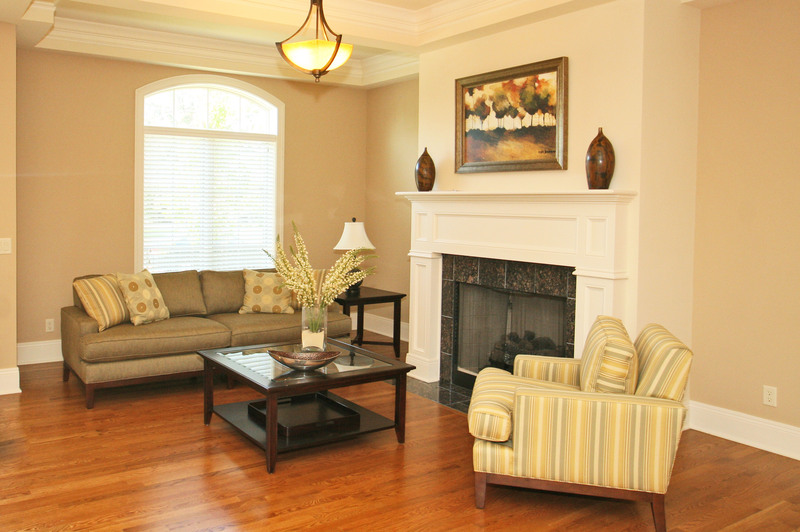 A staged condo may present more warm and cozy, but make sure you don’t have a bunch of extra furniture. Extra chairs, end tables, desks, and electronics can make a space look cluttered and small. It might not be your functional set-up, but remember you’re trying to sell this space to someone who might have different tastes than you. This entry was posted in Home Maintenance, Home Services, House Trends, Selling A Home and tagged condo, condominium, Home staging, selling a home by Chris Payne. Bookmark the permalink.